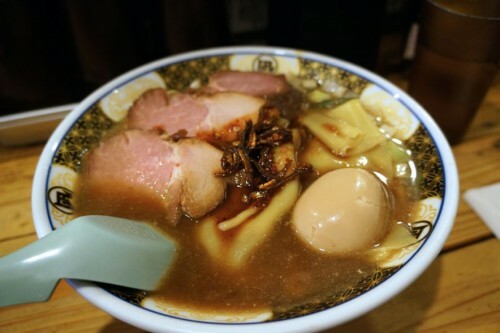 Nagi Ramen’s Golden Gai location has got to be one of the tiniest restaurants I’ve ever eaten at. The area is located in Shinjuku, Tokyo and is made up of several narrow alleyways which contains over 200 bars and restaurants. 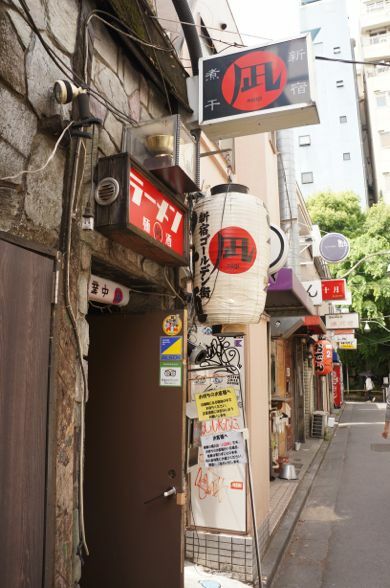 It’s a shockingly large number when you take into consideration how small Golden Gai is – literally a few short blocks. Prior to the 1960’s, Golden Gai was known for prostitution before it became illegal. The area is now a popular drinking area, packed with tiny bars, most of which only fit a handful of people. Nagi is no different. Nagi is located on the second floor. 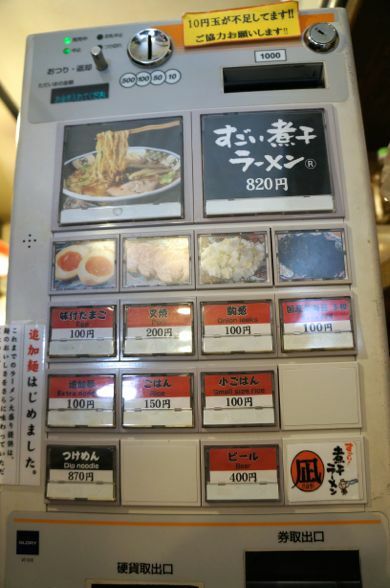 You walk up an extremely narrow staircase, purchase a ticket for your bowl of ramen from the vending machine and grab a seat. They’re often quite busy, so you’d likely be waiting in line downstairs in the alley before they call you up. We went around 11am for an early lunch and we were seated immediately. The space only fits 10 or so people at a counter. There’s virtually no space to fit anything or anyone else. To say it was cramped would be an understatement. But the bowl of ramen was well worth it! If you don’t like fishy flavours, I suggest you avoid Nagi. But I really loved it. The intense broth was incredibly comforting and had a slight bitterness to it from the sardines. It was so unique! As for the noodles, they also didn’t disappoint – thick and springy with just the right amount of chew. Toppings here cost extra. I added an egg and pork (both of which cost extra). 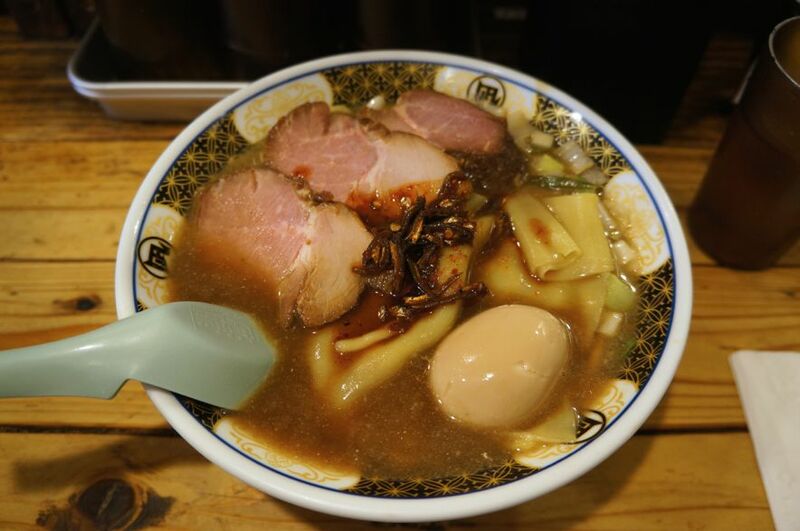 The egg was cooked to perfection and the pork was tasty but certainly not as memorable as the broth or noodles. 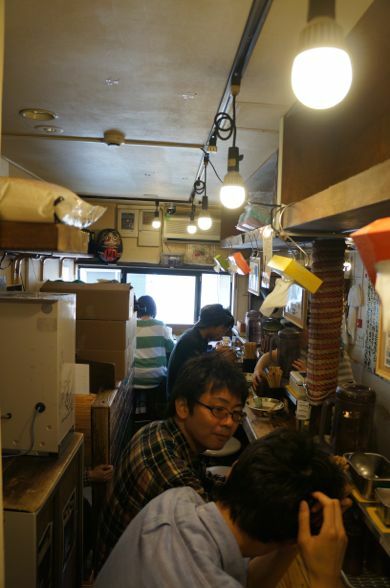 Despite the tight quarters, we loved our meal at Nagi. It just adds to the overall experience, right? If you stumble upon a Nagi ramen joint, their unique niboshi ramen is well worth a try.